Domino to MS Outlook PST Converter: Extremely Reliable! 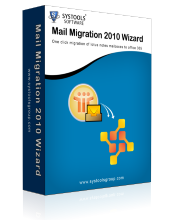 To know how our Mail Migration Wizard utility performs its job of Notes Domino to MS Outlook PST Exchange conversion, download free trial edition of the tool that helps you get familiar with proper operability of the tool before investment, allowing converting 15 emails items per folder. 3) The software is embedded with advance email filters that provide users a provision to convert only selected emails from Lotus Domino to MS Outlook PST ;Exchange Server.